FICIL and the Latvian government met for the 22nd time at the High Council meeting to discuss improvement of investment environment. 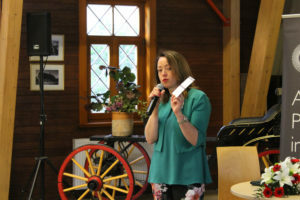 Our 22nd High Council meeting kicked off as usually with the internal meeting: HC delegates received a preview of the two days and main goals for the High Council event. Since it was the first High Council meeting for Honorary Chairperson Mrs Charlotte Norrby, she introduced herself to FICIL membership. Our guest speaker at the internal meeting was the Deputy Prime Minister, Minister for Economy Arvils Ašeradens. He was invited to give his take on investment attractiveness of Latvia. 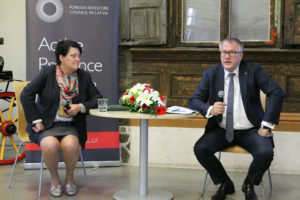 During his presentation, he gave general insights of economic development, the availability and productivity of labour, quality of higher education, fragmented digitalisation policy and many other relevant issues important for Latvia’s economy. 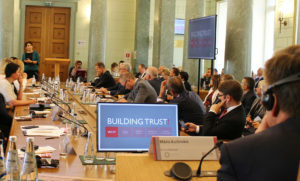 The second part of the day was devoted to the public panel discussion “Building Trust!”. The two panels represented main priorities: digitalisation and fight against economic crime. 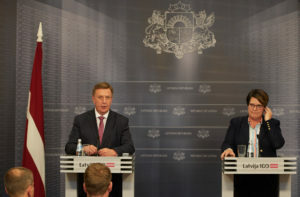 Accordingly, the discussion was split into two parts: 1) “Small country, big potential: opportunities for Latvia in the digital economy”, 2) “Tackling economic crime: bridging the gaps and being prepared for the new reality”. 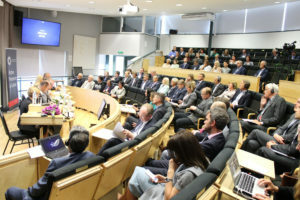 The main High Council event – the High Council meeting with the Government of Latvia – took place on the 7 June in the Cabinet of Ministers. Government’s representatives introduced investors to the latest trends in the national economy (PDF). 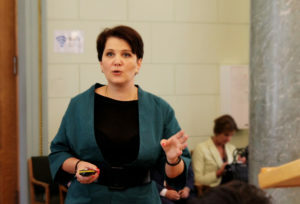 During the meeting, the Chairperson of the FICIL Board Zlata Elksniņa-Zaščirinska presented FICIL’s vision regarding the key things to be achieved: main concerns of foreign investors and progress of SMART goals FICIL presented for government at the 21st High Council. The FICIL’s Position papers on Digitalisation, Higher Education Policy, Waste Management and Energy Sector Policy, Security and Protection of Investment, Availability and Quality of Labour, Proposals for the Improvement of Combating Economic and Financial Crime, as well as the view on Macroeconomic policy were submitted to the Government with an official letter. We have also a photo gallery from the High Council events. Photos from the official State Chancellery account can be accessed here.